The winter can be a tough time for older people because of the limits that the weather can have on their mobility. Luckily, there are many groups and organizations that are aware of this issue, and put on great events, as well as publicize and facilitate others. Plus, many studies have shown that connecting with others and engaging with those around you can have a huge impact on overall happiness and contentedness. All of this is especially true during a harsh Canadian winter. Plus, with winter being so dark, older people are very much susceptible to Seasonal Affective Disorder (SAD) because of the lack of Vitamin D from the sun. This activity is low intensity, high creativity, and gets your parents/grandparents out of the house and enjoying company with the family. Plus who knows if your old top hat might just have some magic in is. Art projects are perfect ways to enjoy rainy or worse, snowy days while indoors. Plus, whether it’s ceramics, paintings, or whatever else, art projects can help people release the neurotransmitter dopamine, which has been proven to help make people happier and feel better. Finally, art projects can be worked on while in a comfortable seated position, which is perfect for those in wheelchairs or with bad backs. Scrapbooking is the ideal activity for aged parents to enjoy while the weather outside is frightful. For example, for older people, it can be a way for them to reminisce about their lives, as well as their children’s. These kinds of projects can be as simple or complex as you’d like, and you can always have someone assist with putting the pages together if the person you’re working with has trouble with their joints. Puzzles to minds are like rocks for sharpening knives. They help the mind grow, become sharper. As we work longer, we also work faster. Plus, puzzles and jigsaws can come in a variety of different sizes and styles that can accommodate the different needs of elderly people. 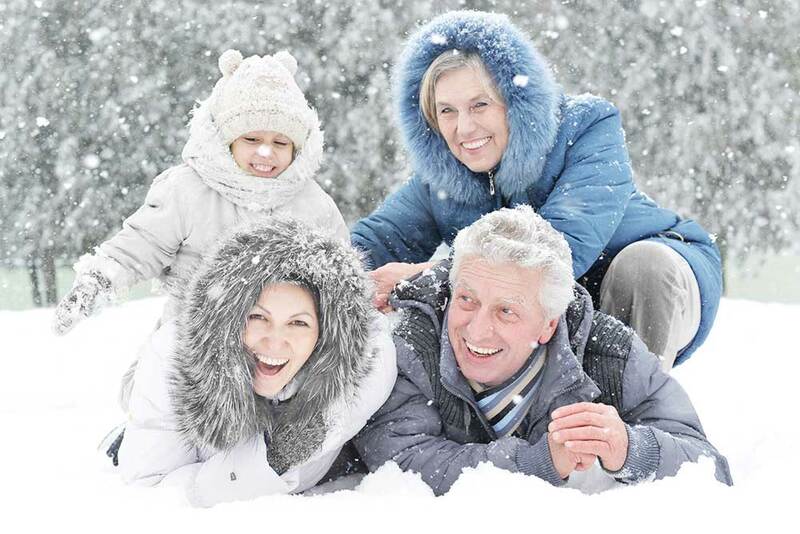 With these activities in your repertoire, winter doesn’t have to be a dull time for you and your parents. Try one or two of these and see how your parent responds to each. Some may respond better to certain ones and worse to others, it’s all about trial and error.